The Bloody Mary is by far one of the best hangover cures by our count. 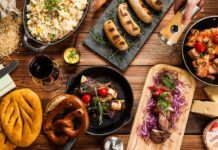 Here is a list of the best restaurants and bars in Shanghai for day drinking Bloody Marys, preferably (or exclusively) during brunch. We’ve even thrown in some brunch recommendations. Have at it. The best thing about Bloody Marys at Hot Box? DIY with as many hot sauces as your stomach lining can handle. 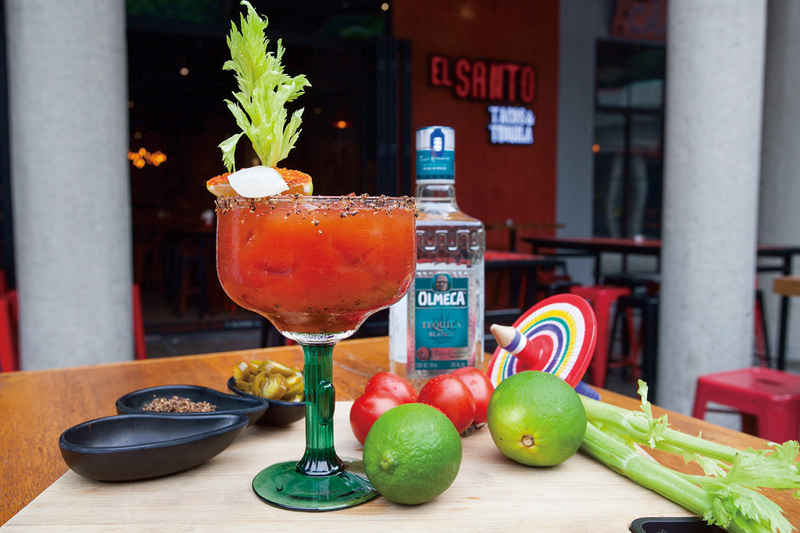 They do Bloody Marys and Bloody Caesars, both RMB30 each, and we prefer the latter, made with a Clamato juice base. They have BM’s every day of the week, and there’s outdoor seating. Pro tip: Try the hot sauces. The Cannery does Bloody Caesars. Pete’s Caesar (RMB98), uses fresh clam juice from their steamers, smoked salmon washed vodka, salt, black pepper, dill, cayenne and fresh cherry tomato juice. Plus, it comes with an oyster. 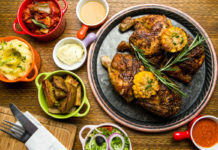 Brunch is RMB198 for three dishes. Try the grilled cheese sandiwich, ribs and banana bread dessert. Outdoor seating available. This is one of the higher caliber cocktails on this list. The Bloody Mary (RMB80) at Cobra Lily uses white pepper, Sichuan peppercorn, lemon juice and chunks of crushed ginger. Topped with beef jerky, because why not? Brunch is a la carte and we recommend the salmon okonomiyaki and the Chiangmai sausage hash. Again, plenty of outdoor seating. This Bloody Caesar (RMB50) uses a vinegar-based Louisiana hot sauce for heat, garnished with pickled green beans and olives. We recommend adding RMB10 for a garnish of crispy bacon or a quarter of a plain grilled cheese sandwich. That, or just order a grilled cheese sandwich from their menu, or get a Philly Cheesesteak. Yes, they have those. Co Cheese is more of a night time hangout, but if you want to start day drinking, there’s no better place to do it. Holy moly, it’s a looker. And for RMB98, it’s a steal. Piled high with a chicken skewer, cheese burger, bacon and wings, this is one that goes down in the history of crazy foods available in Shanghai. We hear the ribs and the pulled pork sandwich are good too. This beauty is served with a whole lobster claw in a Beluga vodka and house Bloody Mary mix (RMB158), available at Hooked and Bull & Claw. If that’s not your style, they also have a normal version (RMB70) with Tito’s vodka, one which we could see ourselves drinking every day. If you haven’t tried Hooked’s fish and chips, you’re missing out. Head to B&C’s awesome new villa spot for their city-wide famous brunch. One of the spiciest on this list (RMB70). It’s the kind of Bloody Mary you want with tacos and burritos filling up your belly. Olmeca, pickled onion and a rim of dried chili, salt and pepper. This is the original DIY Bloody Mary (RMB75) after the free-flow custom BM bar at Pentalounge. Get hands on and mix up your own Bloody Mary with KABB’s kit of vodka, tomato juice, Worcestershire, horseradish, Tabasco, salt and pepper. 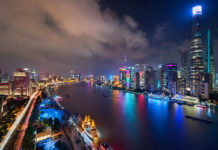 Three locations in town: Xintiandi for people watching, iapm for a secluded terrace or Jing An Kerry Center for something in between. Brunch isn’t bad either—try their breakfast burrito. This is actually a Mezcalada (RMB88). It’s a hoppy cocktail of more than 20 ingredients including MAYA’s Bloody Mary mix and Sol beer. Watch out for that spicy rim! They also have a killer breakfast burrito, and their brunch is one of the best in Shanghai. It’s a pity Stagiaires’ Dagu Lu terrace is closed, along with all the rest of its neighbors on the terrace-filled street. So we’ll recommend their Found 158 spot for outdoor seating. 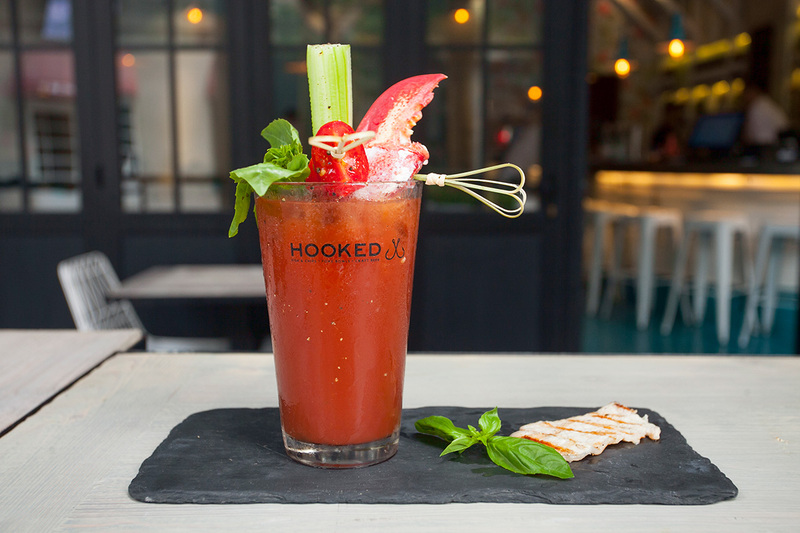 They serve Bloody Marys all day, but get them during happy hour for RMB50 from Monday to Thursday, 5pm-8pm. The same deal applies to Wuding Lu and Dagu Lu branch, except available everyday from 5pm-8pm. 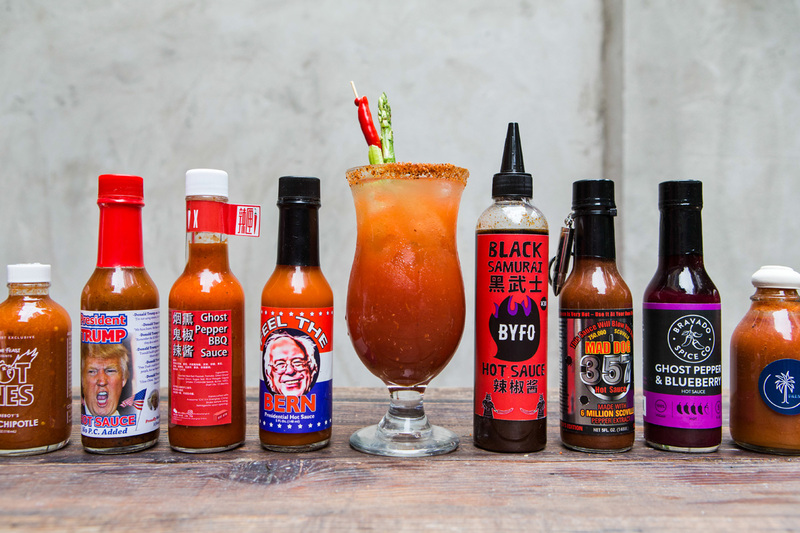 It’s free-flow Bloody Marys for RMB158 on Saturday and Sunday during brunch. Brunch pickings are pretty good too—the menu done by Austin Hu. We recommend for brunch the eggs Benedict, Vitello Tonnato and ravioli. Shake used to have seven different Bloody Marys during the brunch service (yes, they serve brunch), but decided that was one too many and stripped it down to one classic. They use fresh tomatoes, adding three different hot sauces—Vietnamese lemongrass, Tabasco and O’Brothers pepper sauce—and lemongrass salt. Two ounces of booze for RMB85. They do a Southeast Asian inspired brunch. Get the butter kaya toast with crispy bacon and half-boiled egg. Diner has locked in their operation hours, 10am-10pm daily. Now you can have brunch all day, any day of the week. Their Bloody Mary (RMB68) has generous splash of vodka and garnished with a spear of homemade Spam, piquillo peppers and olives. If you’re looking for the best fried chicken in town, Palmetto has it. Head there for brunch and wash down the heavy American Southern food with a Bloody Mary, made with Skyy vodka, Japanese sea salt mix, horseradish, a few dashes of their own Palmetto hot sauce and garnished with pickled beans and okra. The Nest does a classic Bloody Mary (RMB78) with Grey Goose vodka (duh), garnished with a sprig of basil. It’s not on the menu, but if you’re there for Sunday brunch, order it anyway. Brunch is the same deal as Cannery, except a different spread—three courses for RMB198, plus a free welcome drink. Other recs include the one at EGG—we hear this one packs a punch and is heavy enough on the liquor. If you’re craving a Bloody Mary at night, we recommend Union Trading Company or the Sweet Lorraine at Speak Low or Bloody Mary premixed bottles at Chop Chop Club. We can’t list them all, so let us know in the comments below if we missed your favorite Bloody Mary. Happy drinking!